The Summer Wine Report with Robin Watts! Summer wiiiiines… make me feel fiiiiiinnne! Well folks, we are fully into summer now and the outdoor parties/concerts/star gazing/stoop sitting events are going strong. With all these gatherings I’ve started to realize that, while cocktails are fine and dandy, many of my friends (and their friends) also want a glass of wine when they’re out and about. And sometimes I do too. This week I’m introducing a new quarterly column on here with my pal and wine lover Robin. Robin loves wine. And he thinks you’ll love these wines. Why? 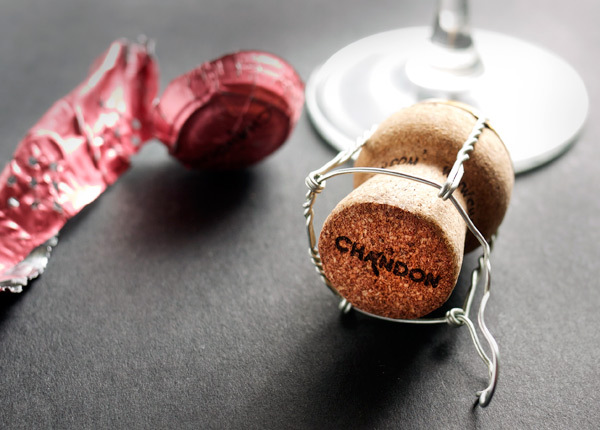 Because these wines are made for cocktail lovers. They’re unique and flavorful and best of all… cheap. Time to stock up! But first, here’s Robin with a little intro about himself and the Summer Wine Report! I am a freelance illustrator and wine hoarder living and working out of Los Angeles. I fell in love with wine right around the time I turned 21. The restaurant I worked in had a separate wine bar and I was able to start attending tastings and winemaker events. Having access to great wine at such an early age spoiled me. Having a small budget at that same age made me get resourceful. Since that time, I have been fortunate enough to befriend some really fantastic wine makers, shop owners, and sommeliers that have helped me further my wine education. Cooking and gardening have always played an integral role in my life and I have found that few things can enhance a good meal/afternoon/evening/morning/camping trip/barn raising/what have you like a nice bottle of wine. I love sharing my latest wine finds over a good meal and love even more finding a way to remove the pretense and intimidation from the experience for the people in my life. With some many great (and affordable!) wines out there there is no excuse for drinking bad wine and I am looking forward to sharing some of my favorite picks with the Stir & Strain audience each season. 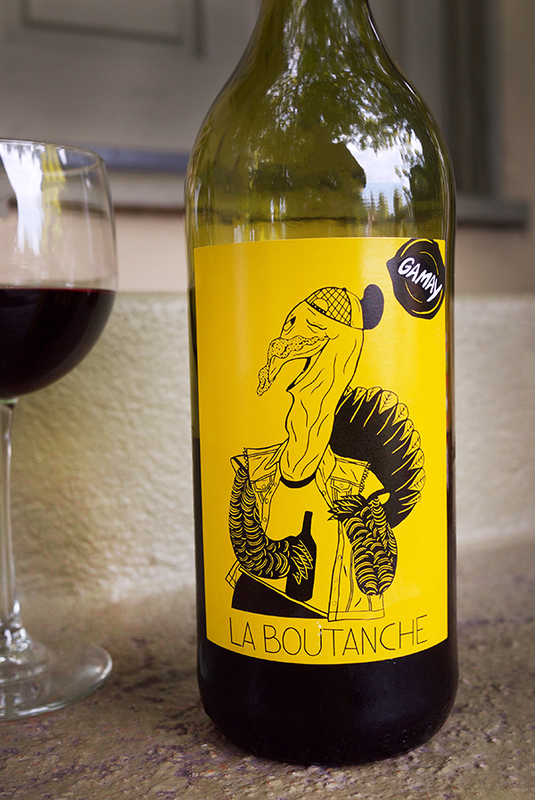 This gamay is funky but that funkiness lends itself to some real versatility. It has a blackberry shrub meets cauliflower meets smoked meat thing happening on the nose that gives way to a surprisingly light and tart taste that could easily be enjoyed with tacos, Asian foods, seafood, or really anything grilled. Its not too heavy for seafood but the cherry/chorizo notes and soft, subtle tannic element on the finish would make it appropriate for meatier fare. I would say this affordably priced liter with a twist off cap would be welcome at any table, picnic, or cookout this summer. On a side note, I recommend throwing a little chill on it. 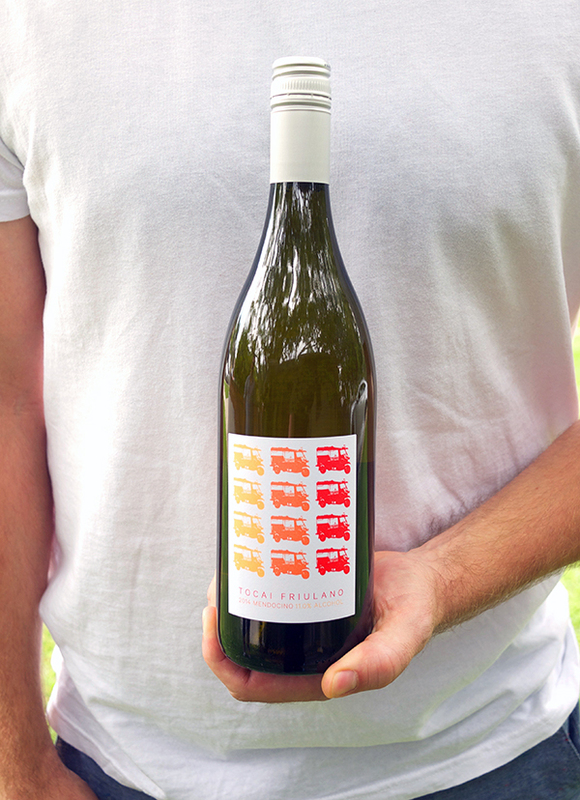 Summertime is perfect for drinking light crisp wines and I’d be hard pressed to find another bottle that epitomizes that more this season than Folk Machine’s Tocai Friulano. Subtle citrus elements like lemon and grapefruit play a harmonious second fiddle to the striking minerality this wine presents. You can almost taste the crisp salt air of Mendocino where these 40 year old Friulano vines grow. Super lean and only 11% alc this is a wine you can, and will want to, drink all day. I am a sucker for a dry rosé. 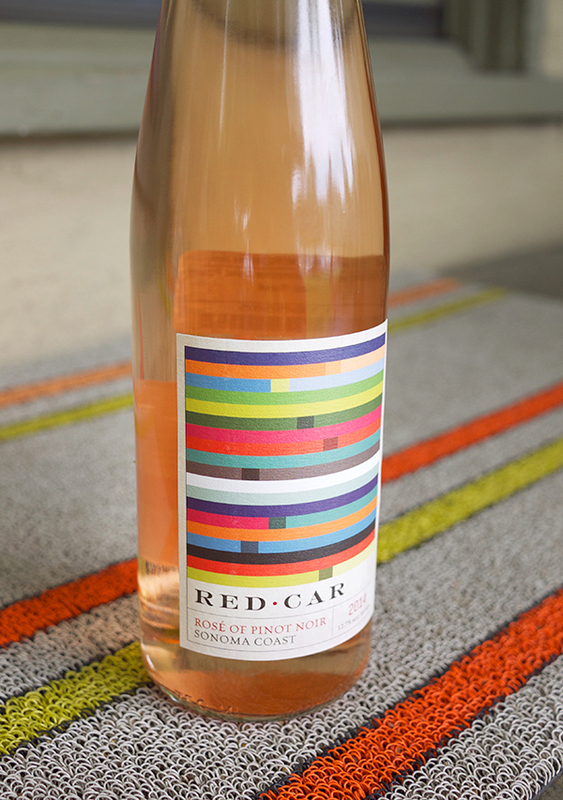 This rosé of 100% pinot noir is more than that. The first time I had this wine I was shocked it wasn’t from Provence. Incredibly dry and elegant this true vin gris is what I imagine wine made from the palest pink grapefruits might taste like. 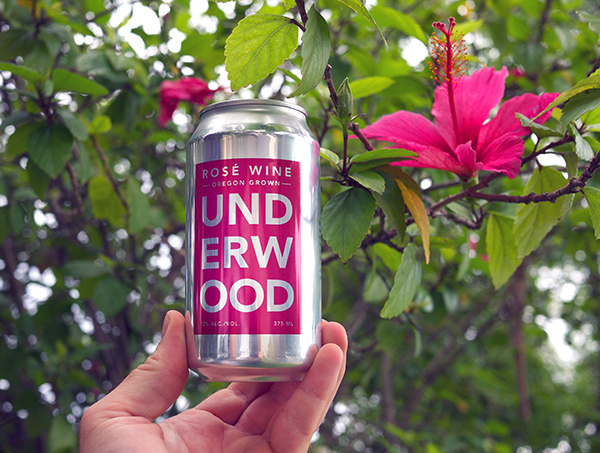 Steely and just the tiniest hint of cherry make this rosé the perfect start to a summer afternoon with friends or companion for a sunset. Or brunch. Or a beach day. Any time, really. 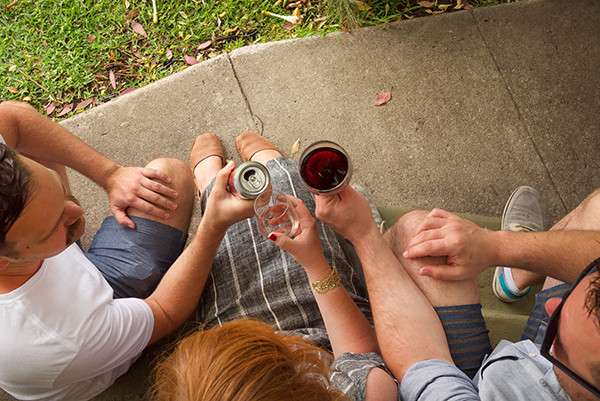 Share a bottle with someone important and they’ll know it. Or just keep it as a treat for yourself. I cannot think of a more seasonally appropriate wine than this for multiple reasons. Who doesn’t want a light, crisp refreshing wine with notes of watermelon, strawberry, and just a bit of peach on a hot summer day? Who doesn’t want that at the beach, a picnic, or by the pool? This wine is perfect for all those things and IT COMES IN A CAN. No broken glass by the pool, no heavy bottles to lug out of your campsite, and small enough to fit in your pocket at the movies. Yeah. Some of the aromatics are lost drinking from the can but you can always transfer it to a glass. This little Oregon treat is delicious and travels well and is exactly half a bottle. 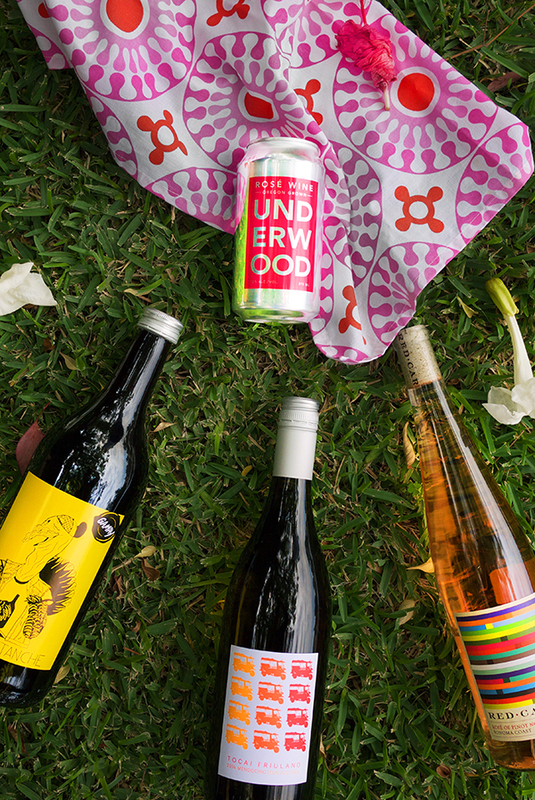 What more could you ask for from a summertime wine? Follow Stir and Strain now on Delectable! Ok guys. I might have been panicking last week but today I’ve made peace with the fact that 1. I only got Christmas cards out of my immediate family this year (sorry friends, maybe I’ll get ambitious and send out New Years ones. Maybe.) 2. I just am not going to get all those to-dos on my list done. This is ok. Save a life was not one of them so I can take a deep breath and just add them to next years holiday list. So let’s just talk about some cocktails. 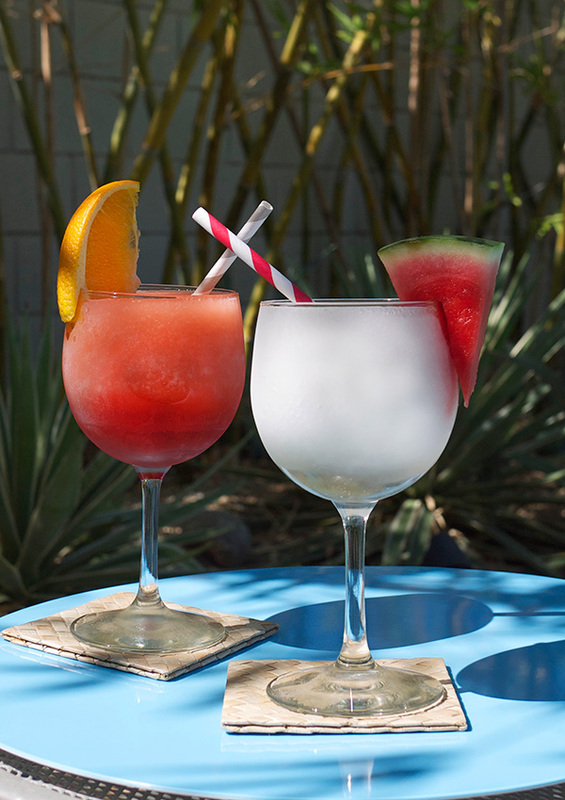 Like I mentioned in the Sangria post, I have some drink recipes going up on the Serious Drinks site. This one you may have seen earlier in the week and I figured it was time to post over here just so we can all be kept up to date in the Stir and Strain universe. It’s a nice addition to your holiday table, and super easy to make. Also: it tastes like a Christmas tree. Seriously Clear Creek Distillery, you guys wowed the pants off me with this eau de vie. 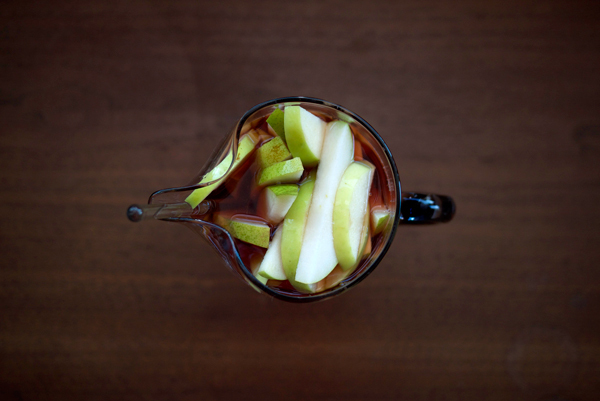 Yes, it’s getting some notice on this blog; remember that Pear cocktail? 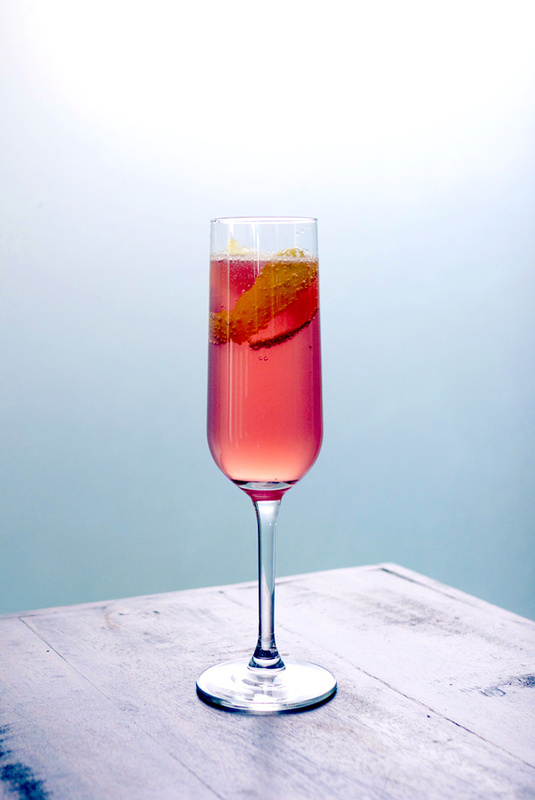 Here I’ve taken the French 75 and Portlandified it. No, I didn’t put a bird on it; I stuck a fir tree in it. Totally better in my opinion. 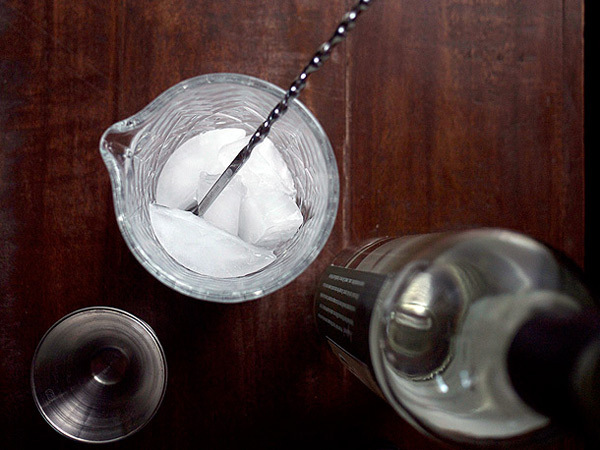 Fill a mixing glass with ice. Add gin, Douglas Fir Eau de Vie, lemon juice, simple syrup, and lemon bitters. Stir until chilled, about 20 seconds. 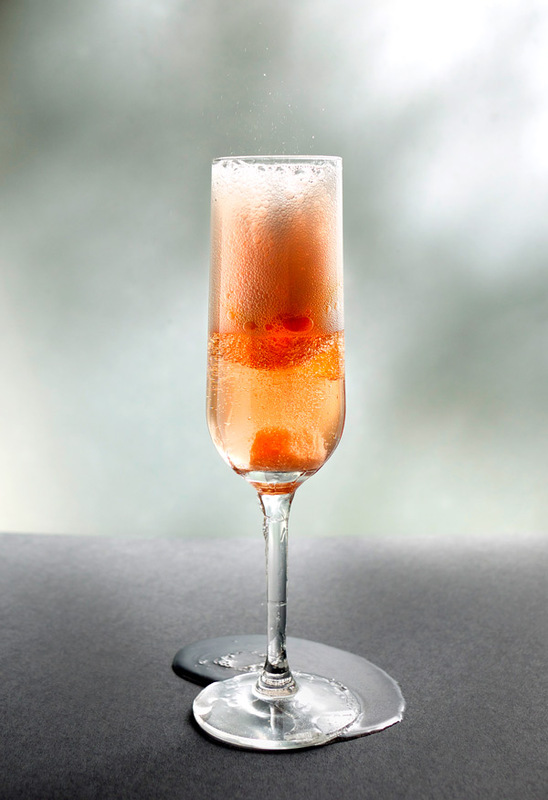 Strain into a Champagne flute and top with chilled sparkling rosé. 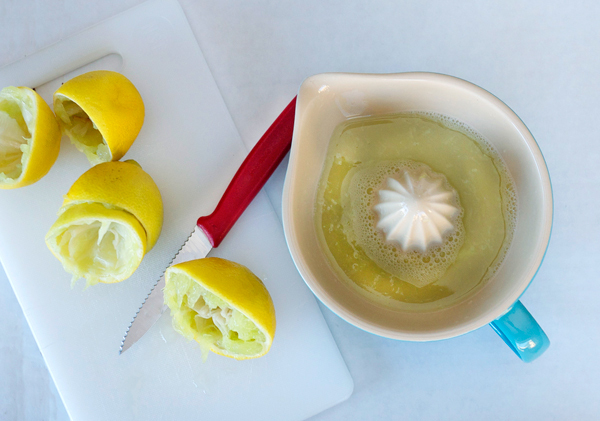 Express lemon peel over the drink and add peel to the top 1/3 of the glass as a garnish. Tart and Christmas Tree-like. The rose should have a lot of residual sugar to balance out the earthy gin and eau de vie. 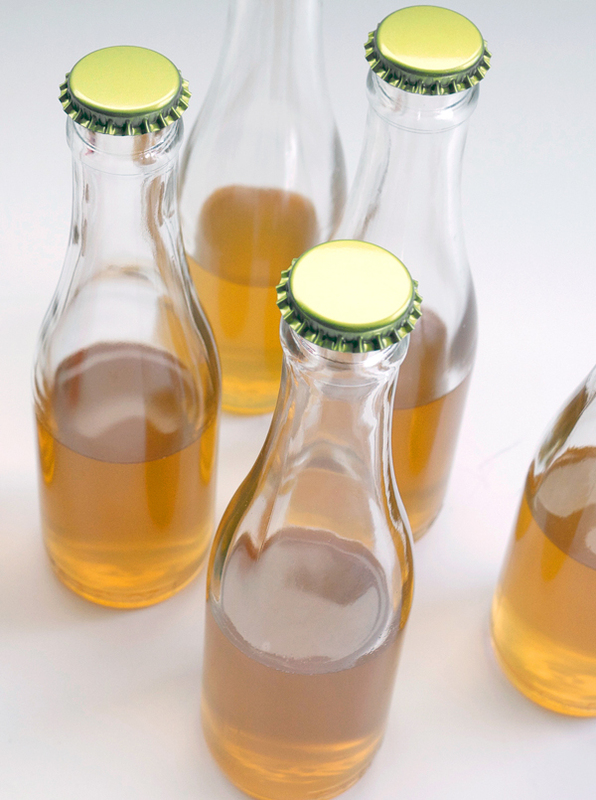 You can batch these in groups of 4 and top with the rosé for a Holiday brunch drink. Or just be fancy and have it a night too with some oysters (I will be doing just that on Christmas Eve). Also, I wanted to send a big thank you and shout out to Bar and Garden in Culver City, CA who have been helping steer me in the right direction of choosing sparkling wines for drinks. The ladies there are awesome, knowledgeable and have yet to pick out something I wouldn’t want to crack open and slug down on the spot. Please give them a visit if you’re in West Los Angeles. And stay tuned here for a few more holiday posts and irreverent boozy Gift Guides this week. *This bottle from Heritage Distilling was generously given gratis and appears here because I like drinking it. For more info on sponsored products, affiliate links, and gifted booze, please visit the About page. At the end of May I caught a tweet from the NY Times food section that completely changed my mind about what a Sangria should be. Lavender? Sake? What were these crazy components I’d never dreamed of adding to what I considered to be a drink of wine and fruit thrown in for good measure. You can read the whole article through this link, just come back here when you’re done. That Burnt Sage and Blackberry Sangria I did? Little did I know what path I would start going down next. Suddenly that article made me want to try it with all kinds of wine. White Sangria I am still working on, but Rosé? I think I have something pretty special here. (Oh, and I got Sherry waiting in line too, FYI). 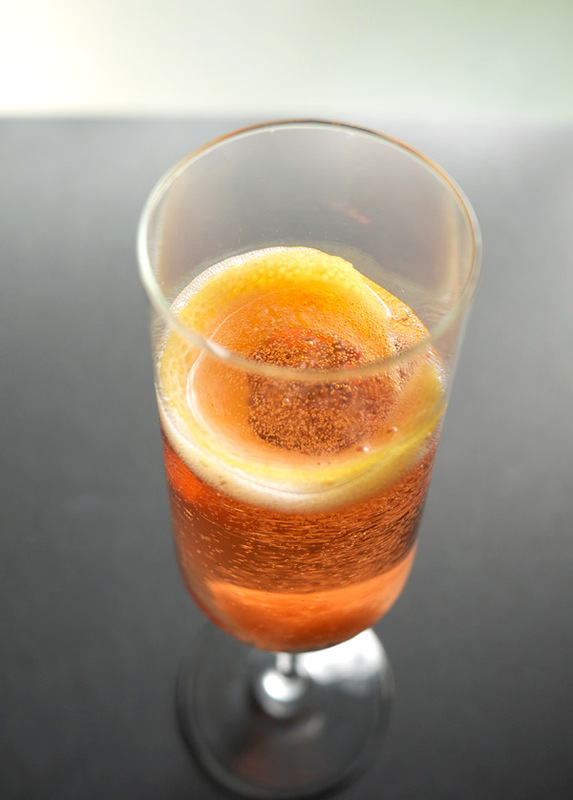 In developing this recipe, I made the Rosé tell me where to go. By that I mean I bought a relatively cheap bottle in case this was a bomb (Hello Trader Joe’s!) and tasted it, and from there went with what I thought would enhance the flavor profile of the wine and compliment it on several levels. 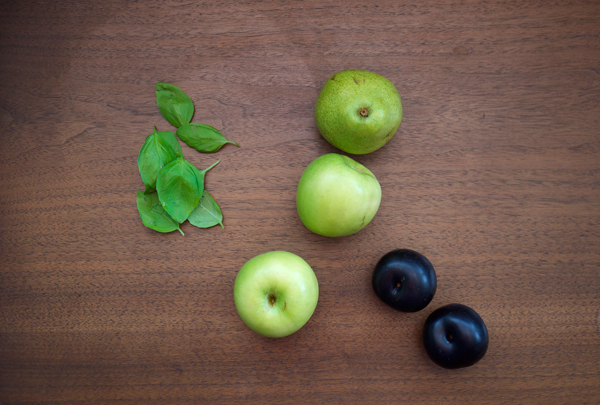 Apples, plums, basil. It’s all in there along with some not so well known ingredients: Cardamaro (a complex wine-based Amaro). And unexpected: Rum. For me, I want Sangria to be complex, like a cocktail, but on the obvious larger scale in size.The only downfall here is the wait time. Sorry folks, this needs to sit for 2 days, it’s just better that way. Trust me. Lightly crush the basil in the bottom of your pitcher. Add fruit. 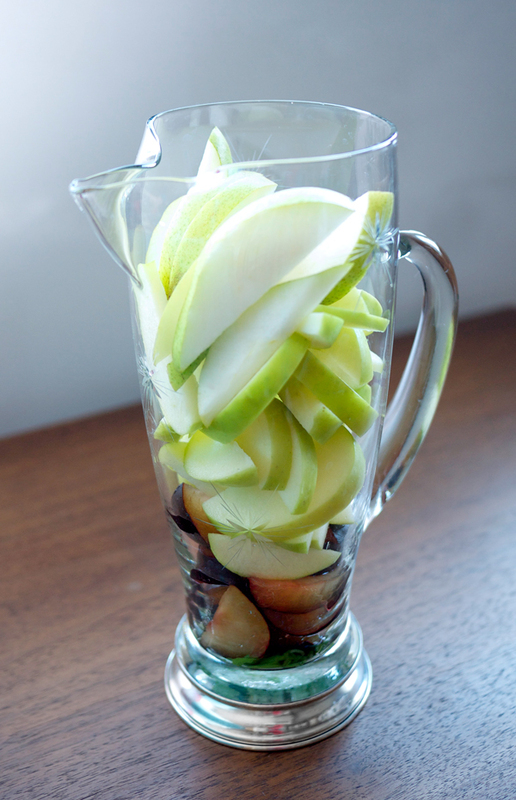 Pour liquids over the fruit and stir to combine. Refrigerate for two days. 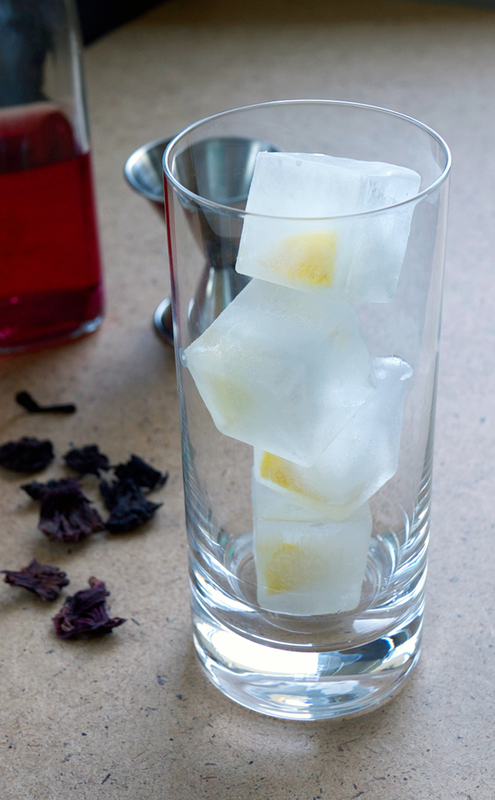 To serve, pour over ice filled double rocks glasses. The Rosé, regardless of what else is added here, is still the dominant flavor, but now there is a wonderfully warm, light syrupy taste from the liquors. Apples our among the fruit with this particular ratio, however it’s a nice crisp addition. 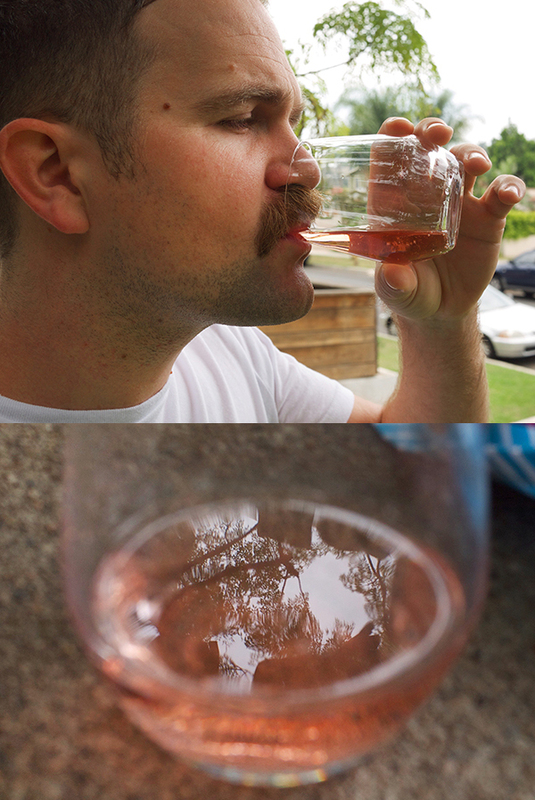 Plum is more of a subtle flavor in the background while the basil adds a slight earthiness that compliments this Rosé. Some people disagree with adding fruit during the resting period because it can become soggy. I am not one of those people. The fruit I stick in there I want infused into the drink. They are not merely a garnish. In fact, I might not even eat them. 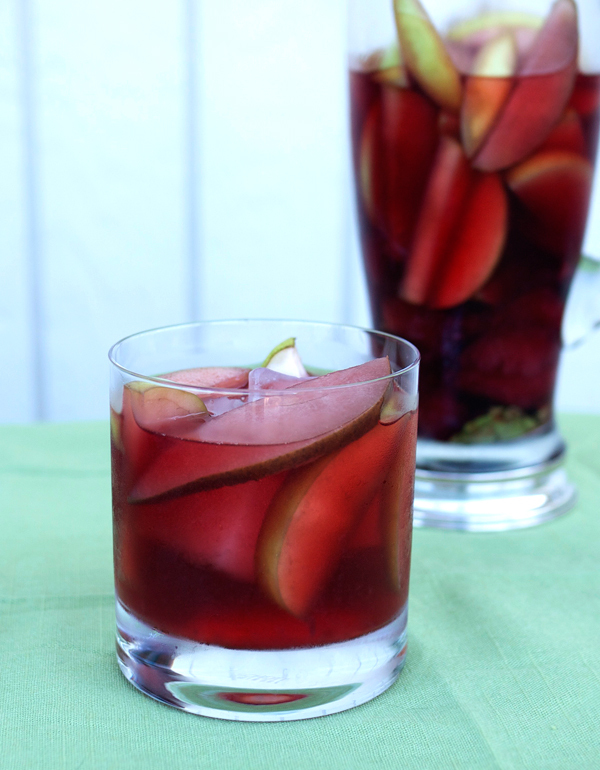 If you can wait for this, it’s a light, crisp, refreshing and seriously easy to drink Sangria. Mixology Monday time again; how quickly this year is flying. This month’s host is Stewart Putney of Putney Farm who has asked us to “invert” our cocktail ingredients. When I first read the announcement I was all on board for busting out some of my crazy chemicals and turning liquids into solids, etc… until real life got in the way and I had to abandon those ideas real fast. Some day you’ll see some posts on that, some day. Instead I liked the idea of turning a cocktail into a ‘long drink’ and having a new batch of hibiscus infused tequila on hand I opted to make one from a Margarita recipe. Not just stopping at switching the proportions of the tequila and lime juice around, I added some extra touches to turn the other ingredients on their heads. 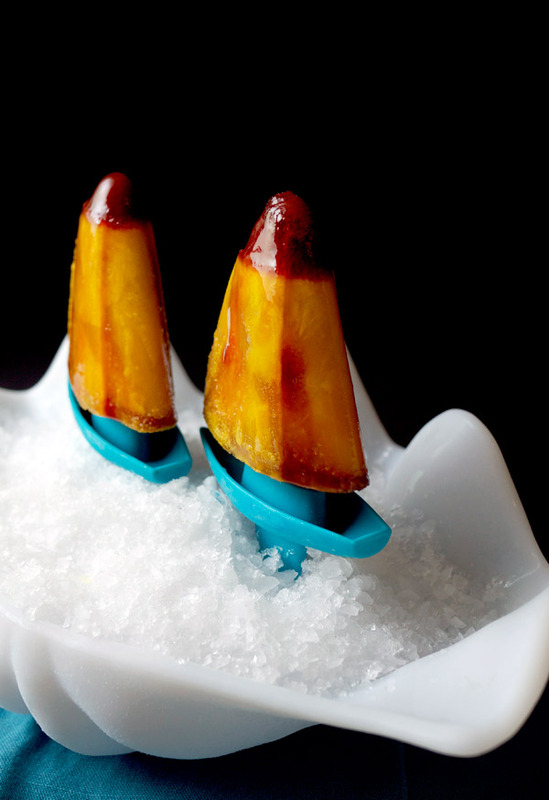 Lime wedges encased in ice? Yes. Dry Orange Curacao syrup? Why not. Vanilla salt?! Let’s do that too! Sometimes I want a project to work on, and this particular cocktail seems to be just that. However, once you make a couple of the ingredients that go into this, you can use them in lots of other ways. That vanilla salt is going atop some dark chocolate cookies soon. And the limeade is perfect without the booze in it too. 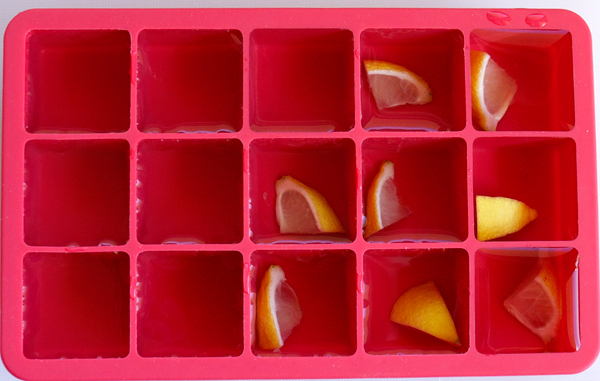 Build the drink by adding lime wedge ice cubes to a Collins glass. 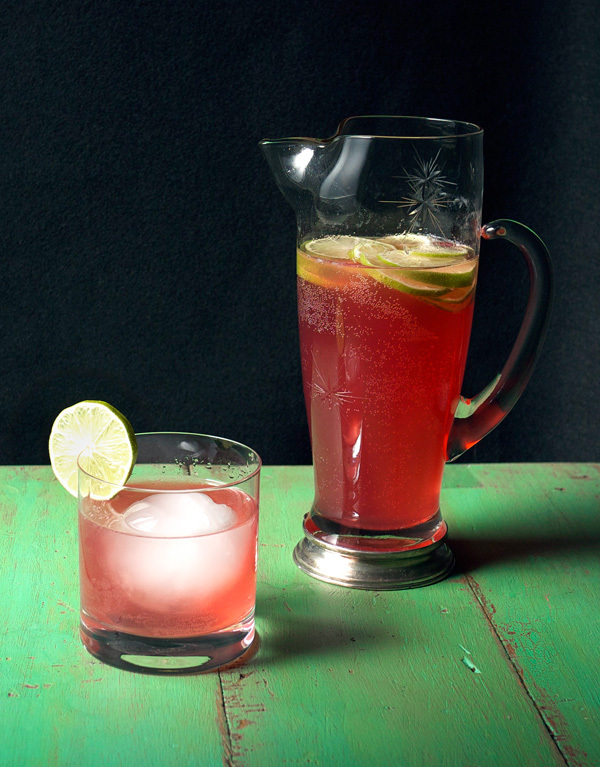 Pour in tequila, syrup and limeade. Add the bitters and pinch of salt and stir with a straw gently to combine. Heat all three ingredients over medium heat and stir to combine. Cool and transfer to a pitcher. (Those may look like lemons, but the Bears limes from my in-laws trees are more yellow than green this year). Simmer the curacao over medium heat until reduced in half. This can take about 10-12 minutes. Cool and bottle. Combine the salt and vanilla bean and shake vigorously. Let sit for a few hours before use to allow the vanilla bean scent to permeate the salt. Store in an airtight container. The result? 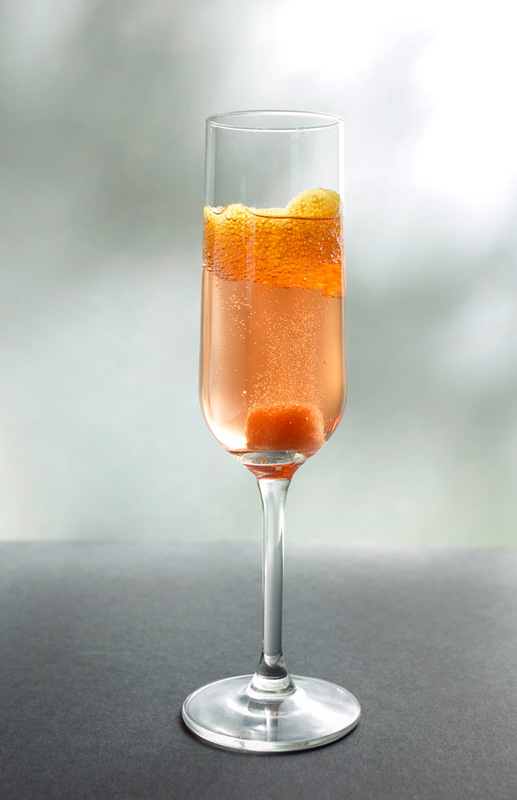 Instead of a strong tequila forward/ sweet and sour mix, this cocktail becomes a softer, lighter version that is both fruity and floral, with a bite of citrus at the finish. 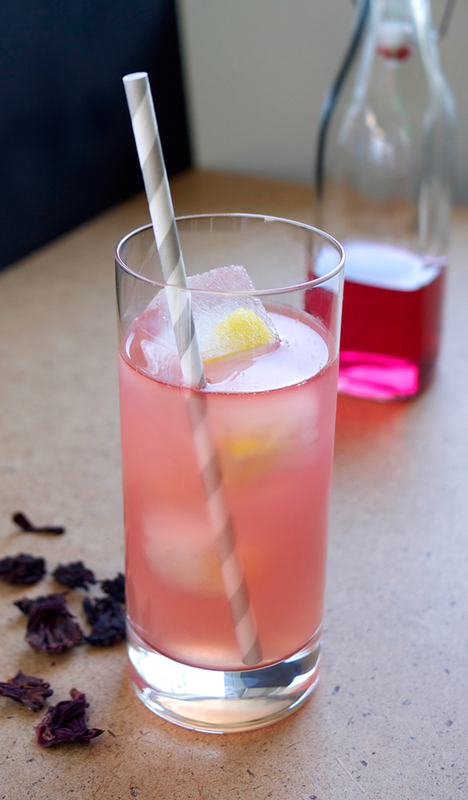 Hibiscus and lime are a wonderful pair, and with a pinch of the vanilla salt, this drink is well balanced. I purposely made the limeade not too sweet so that I could control that with the orange curacao syrup. That syrup’s sweet orange contrasts quite well with the tart lime, creating a more dynamic version of a sweet and sour mix. 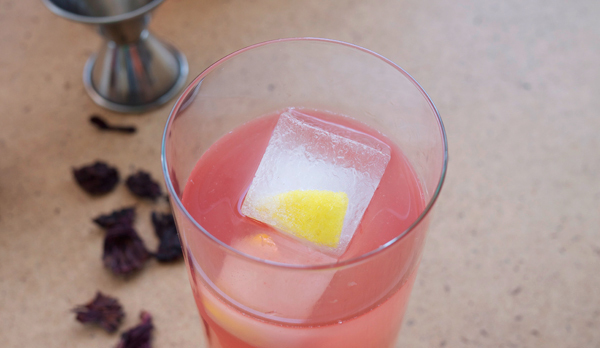 The drink also has strong floral notes from the hibiscus tequila that are pushed forward more from the bitters and from the vanilla salt due to the Tahitian vanilla bean. Tahitian vanilla is more floral than Mexican or Madagascar vanilla beans. Don’t worry though, this doesn’t taste like perfume. The name? It translates to the garden of my grandmother. And that came about because the rose scent and the hibiscus flowers reminded me of her garden. Why in Spanish? 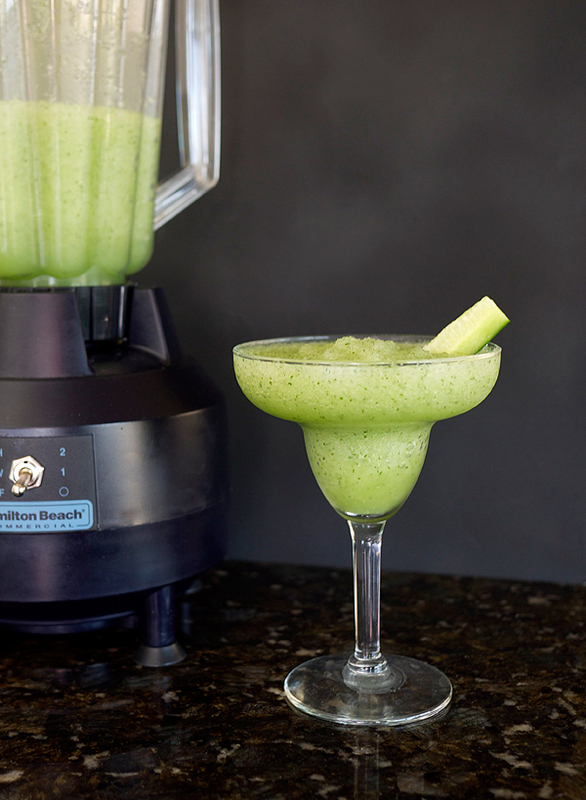 It’s a riff on a Margarita. I couldn’t just name it in English. Thanks to Frederic for keeping Mixology Monday alive and to this month’s host Stewart. Cheers! I’m trying to be better about posting the roundup post for MxMo. Here’s this month’s!